On December 3rd the Angkor Photo Festival- the longest running photography event in Southeast Asia- will be emerging for it’s 12th successful year. It’s clear why the photo festival is highly anticipated and “the highlight of the Asian arts calendar” as it works dynamically to spotlight established and emerging photographers, while also offering portfolio reviews, intensive workshops, presentations and talks. In developed nations access to electricity may be taken for granted. Globally however, a lack of electricity is a major issue. 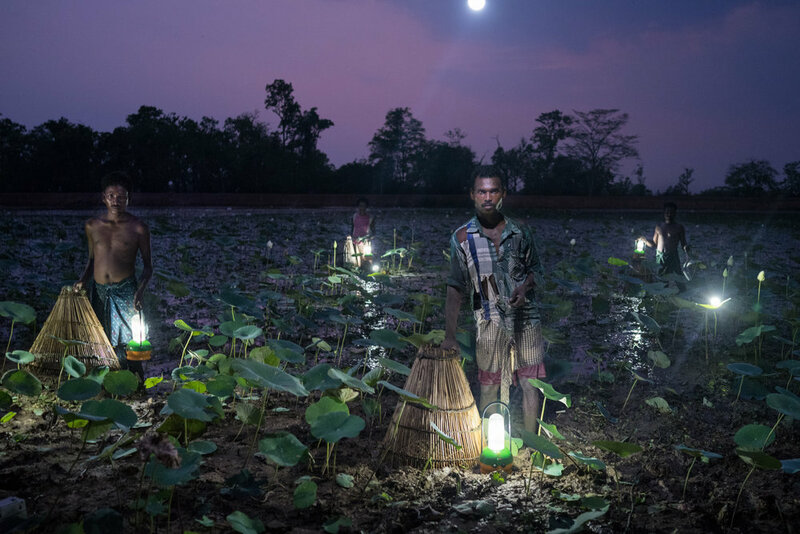 Rubén Salgado, the Madrid born photographer, creates portraits of individuals in Myanmar and Sub-Saharan Africa who, for the first time, have access to electricity through the power of solar energy. Salgado’s enlightening images are accompanied with a short response by the subjects featured of how having electricity has affected and impacted their lives. 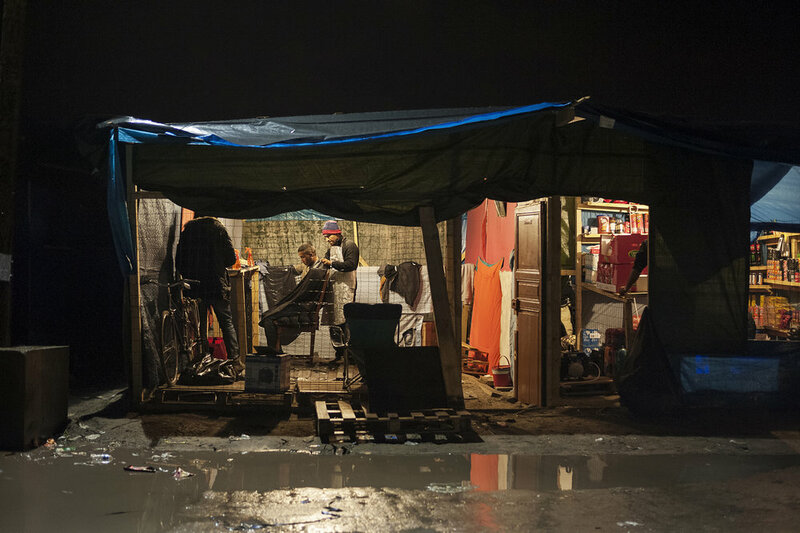 On the north coast of France lays a jungle, not one filled with wild animals and tropical forests but instead with refugees taking temporary shelter in Calais. The ‘jungle’ has become the largest informal refugee camp in Europe filled with thousands refugees who have tried to illegally enter Europe. Italian photographer Giulio Piscitelli juxtaposes in his images how the camp, on the surface, has structures of stable communities such as shops, religious places of worship, and restaurants existing in a temporary environment. The dark images highlight this difficult transition time for thousands stuck in a temporary situation unsure of where to go next. The Czech landscape photographer focuses on the man-made technological structures inserted into the vast countryside of the Czech Republic for his series Violated Landscape. Chadim’s photographs seem to show an alien landscape, not that of earth, with large, bulbous, sharp, and intruding structures invading serene Czech environments. The sublime images are chilling in their isolation, perhaps a premonition for what is to come if mankind continues to violate nature. In 2016 nothing was comparably theatrically to that of the American Presidential Election. Over the past two years American photographer Mark Peterson followed the two presidential candidates throughout their rallies and tours to try and uncover some truth masked behind their political façade. In Political Theatre his photographs of the candidates show them in an unguarded, colder, light than the rehearsed "perfected" image they put on for the public. “A Kothi is identified as a male at birth, but identifies with female concepts and ranges from feminine males to transgender women. Most Kothis seek to live a normal life within Indian society, but for many it is hard.” The photographs taken by Italian photographer, Alice Sassu, show the difficult life faced by those who identify as Kothis living in Calcutta. Socially Kothis are not always accepted and have to hide who they are, not only from society, but also from their loved ones. Sassu photographs a woman named Rania who works as a human right activist and often shelters friends who identify as Kothis at her home providing a safe space for them to be themselves. In his series Japan, the Japanese born, but New York based, photographer travels back to his home of Japan to uncover the contradictions in both his personal life and the modern life of Japan. Ito’s images uncover his country that both revels in its ancient history and its forceful modernity. What these paradoxes might mean is currently unanswerable to Hiroyuki Ito, however, the unanswerable compels him to continue photographing as a way to understand the paradoxes within himself and his country.